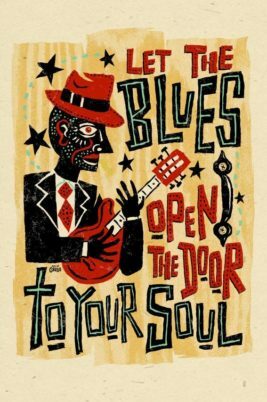 Notes“The Blues Spectrum” will feature Cleveland singing, playing and speaking through the history of blues from the 18th century field hollers to early acoustic Delta blues, from Chicago blues to urban blues ballads by the likes of Tom Waits and Elvis Costello, to jazz blues and more. Cleveland is a lifelong composer, singer, pianist, music educator and church musician. He holds a Bachelor of Music degree in music education from Berklee College of Music, a Master of Music degree in music theory/composition from UMass Lowell, and a Master of Divinity degree from Boston University. He is on the Adjunct Music Facility of UMA. He has written and produced five independent solo albums and performs original and reinterpreted jazz, R&B and blues as a solo pianist and singer in numerous duos, trios and quartets. He teaches jazz piano privately, is a recording studio pianist, and is the pianist/soloist for The Elm Street Congregational Church in Bucksport. Cleveland has released his fifth independent CD, “Scott Cleveland: Live in Castine.” The snow date is Tuesday, March 19. This event is free and open to the public. For more information, call the library at 207-626-2415 or visit www.lithgowlibrary.org.